On Legacies Season 1 Episode 15, Landon found himself at the mercy of Triad Industries. Watch the full episode online right here to find out what happened. On Legacies Season 1 Episode 14, Hope was blindsided by a shock arrival from her past. Watch the full episode online right here via TV Fanatic. 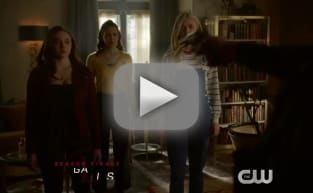 On Legacies Season 1 Episode 13, Hope had to save someone close to her with an old family spell. Watch the full episode online right here via TV Fanatic. On Legacies Season 1 Episode 12, Alaric went on a mission to find the urn, but he had no idea he was the one who lost it. Watch the full episode. On Legacies Season 1 Episode 11, Alaric found himself in a dire situation thanks to the urn. Watch the full episode online right here via TV Fanatic. On Legacies Season 1 Episode 10, Lizzie found herself in control of the fate of the school. Watch the full episode online right here via TV Fanatic. On Legacies Season 1 Episode 9, a new demon invaded not only the walls of the school but the minds of the students. Watch the full episode. On Legacies Season 1 Episode 8, Landon learned the truth about his mother, but did he learn what creature he was? Watch the full episode online. On Legacies Season 1 Episode 7, the Necromancer found himself in danger thanks to Hope. Watch the full episode online right here via TV Fanatic. On Legacies Season 1 Episode 6, Jo showed up at the school and it threw Alaric for a loop. Watch the full episode online right here via TV Fanatic. On Legacies Season 1 Episode 5, Hope tried to help Landon learn the truth about what family of creatures he was part of. Watch the full episode online.